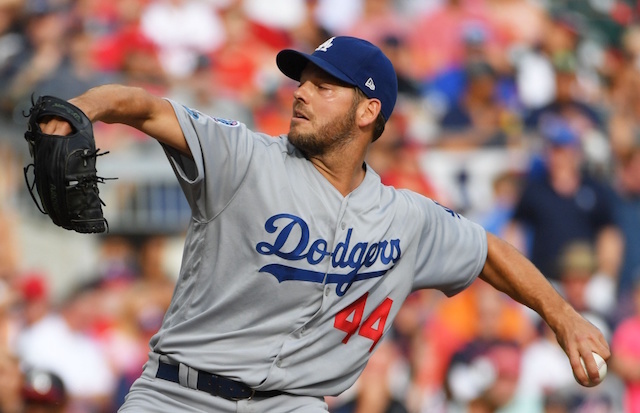 Needing just one more win to advance to their third straight National League Championship Series, the Los Angeles Dodgers took care of business on Monday afternoon, defeating the Atlanta Braves, 6-2, to win the NL Division Series in four games. As was the case in the Dodgers’ first two wins of the series, they scored first in the first inning. This time it came on a two-out double down the left-field line by Manny Machado. Impressively, Max Muncy scored from first base on the hit. The Braves responded with two runs in the fourth inning though, so the Dodgers were forced to come from behind to earn the victory. A key moment came in the bottom of the fifth inning when reliever Ryan Madson inherited a bases-loaded jam with only one out. The Dodgers couldn’t afford to let their deficit grow any larger at that point, and Madson came up big by getting two outs to strand all three runners. The offense then came out firing in the sixth, with Cody Bellinger and Yasiel Puig both reaching on singles. David Freese, who is known to be one of the most clutch postseason hitters of this generation, then came up to pinch-hit with two outs in the inning. Freese came up big once again, driving a base hit up the middle to score two and give the Dodgers a 3-2 lead. Both Freese and Madson were acquired before the Aug. 31 waiver deadline for this exact reason. 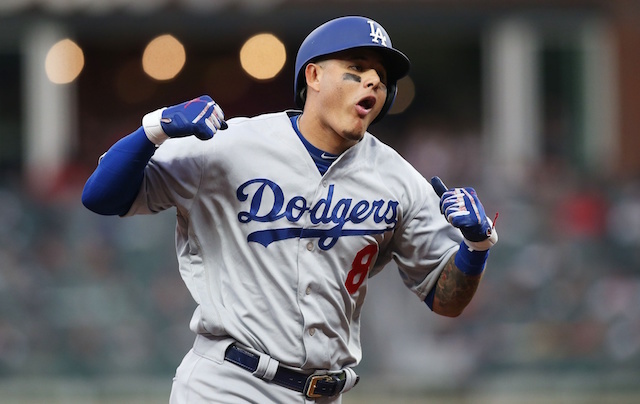 Machado then put a dagger in the hearts of Braves fans in the seventh inning, hitting a three-run home run to extend the Dodgers’ lead to 6-2. The long ball was Machado’s second of the series, and both played huge roles in victories for Los Angeles. Pedro Baez, Caleb Ferguson, Kenta Maeda and Kenley Jansen helped close out the victory, and the Dodgers now have three days off before taking on the Milwaukee Brewers in Game 1 of the NLCS on Friday at Miller Park.